"Our garage door motor and spring broke. Paulino, the technician, had both the motor and spring s with him on his truck so we had it fixed right away. Paulino is a true professional." "Call Precision if you want a great job done at a fair price. My technician, Jose, was professional and courteous. Explained everything that needed to be done to get our garage door working again. There communication and systems were very professional. 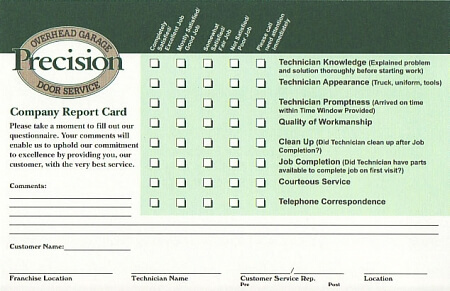 Highly recommend Precision Garage Door."